You are at:Home»Federal»Rubio-Ryan Radio Ads: How Stupid do you Think We Are? Rubio-Ryan Radio Ads: How Stupid do you Think We Are? Ads featuring Senator Marco Rubio (R-Fla.) and Rep. Paul Ryan (R-Wisc.) 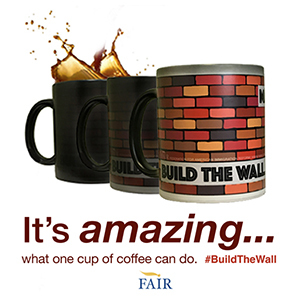 shilling for amnesty and pushing for major increases in guest workers are now blanketing the talk radio airwaves. 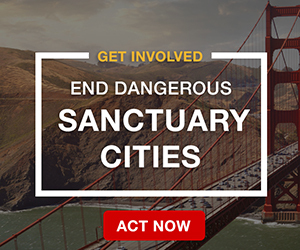 The ads are paid for by Facebook founder Mark Zuckerberg’s lobbying group, Americans for a Conservative Direction, which isn’t really conservative, and is nothing more than a front group for the tech industry that supports Rubio’s amnesty bill because it will substantially increase their access to lower-wage foreign workers. The Gang of Eight even included a so-called “Facebook loophole,” which expands the number of foreign workers companies- like Facebook – can employ without restriction. Unfortunately, the 2016 presidential hopefuls are completely misrepresenting Rubio’s deal with the Democrats and ignoring its detrimental impact on Americans. “So let’s secure the border.” In fact, the Senate bill merely requires DHS to submit a border security plan, not actually secure the border before amnesty for 12 million illegal aliens. “They’ll undergo a background check.” In fact, illegal aliens may have up to three misdemeanors, some criminal convictions and even be gang members but all this can be waived by DHS. “They’ll start paying taxes.” In fact, illegal aliens would file taxes but most are low-income so they’ll be eligible for more in tax credits and benefits than what they’d ever contribute in taxes. Note also, that illegal aliens will not be required to pay back taxes. 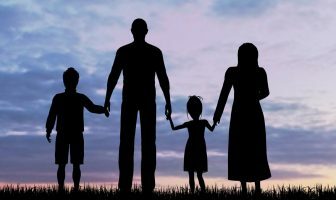 “They won’t qualify for federal benefits.” In fact, illegal aliens who are granted RPI status will become immediately eligible for federal benefits because of their dependents who may be citizens. 2-3 million DREAM Act recipients will become eligible for nearly all federal assistance in just 5 years. Moreover it remains uncertain whether the final bill will allow access to Obamacare. Finally, as the Heritage Foundation noted, once amnesty recipients do become eligible for benefits, the drain on taxpayers will be $6.3 trillion over several decades representing yet more debt irresponsibly kicked down the road to future generations. We might observe that to the extent de facto amnesty exists in America, the solution is for Congress to compel the President to enforce our existing laws, not bend them to accommodate law breaking. The Rubio-Ryan brand of “Conservative Immigration Reform” sure sounds a lot like amnesty and their ads are just de-facto deception. What is in it for the American citizen? Are they going to dismantle sanctuary cities or will those continue welcoming more illegals who manage to cross that Fort Knox DHS border security system? As we get further in president O. second term the more disappoitntatted I have become with all the changes that end with taking away more of our freedom by the way which I spend several years in Europe during world war number 2 fighting for to maintain our freedom. We are allowing people to inter our country at the expense of our citizens. No one seems to care about all the crime that we have as a result of the policies no control of our borders. This country us screwed. We do not have a shot. The politicians have lied to us, stolen from us, and ruined our country. Its not going to get any better, only worse. When the last American leaves California, please bring the flag, they won. I think it is time to import foraigners to represent us in the govermment.Because the United States don’t have an honest person to represent us.They are nothing but sales representetives for foraign workers.As long we let them tell us we have no qualified American workers.They are traiters and liers against our workers. Throw this low life bums out of our govermment..
You can bet that if any of the “gang of 8” or any of these clowns in Washington thought they might lose their jobs due to illegal immigration, they would be deporting every illegal they could get their hands on. The Democrats want to give them amnesty as soon as they can so the illegals can vote for them. The Republican Party wants to please their corporate masters by providing cheap labor and driving wages down for the legal American worker so that these big companies will keep handing out those fat campaign checks. This just goes to show that the Democrats (and some Republicans) will sacrifice every American worker and Taxpayer in order to keep their own jobs. FAIR is run by very nice people with good and noble intentions. However, they were founded in 1979. Since this date, our immigration situation – both legal and illegal – has exponentially worsened each year. Perhaps it’s time that FAIR rethink its strategy. My own solution is the change Congress with pro-FAIR candidates. It would not be hard to identify key geographic sectors where a FAIR-supported candidate will win. 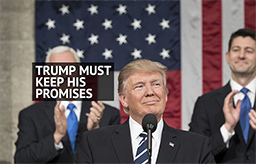 It is important to remember that more than 10 years ago in the most liberal state of the union – California – citizens voted overwhelmingly on a statewide voter initiative to end government funding to illegals – Prop 209 (later overturned by the courts- why?). So, it is clear that Americans of all ages and nationalities support the work of FAIR. It is time to actually do something about it – changing Congress is the only way, and the most effective way to do this. Otherwise, FAIR will simply be what it is now – a reactionary and rather ineffective organization. It’s time to get on the offensive, and stop playing defense. I’ve heard these deceptive radio ads by Rubio and Paul Ryan. Do these politicians think American voters are stupid? We know who is behind amnesty – Big business, hi-tech companies, Big unions, Agriculture idustries – special interests and of course illegal aliens, who have no right to dictate our immigration laws. Hey, don’t forget the Democrates want 11 million new voters so they can stay in power. According to the latest Town Hall.com poll, 68% of those asked want the border secured FIRST and then do something about the illegals. What don’t they understand? They get elected, slap each other on the back and do whatever they want . I thought these were stand up guys standing up for us, WRONG! There are only a few good reps in the whole country fighting for America against legislation like this but more importantly against this morally corrupt administration in the White House led by Obama… who knows nothing just like Sgt. Schultz of Hogan’s Heroes! Where are we going? The greed of our politicians is the greatest threat to America today. This bill is one way they will destroy America if it passes. We need need lobby reform in Washington. Let’s face reality. We’re not talking about 11 million illegal aliens. The real number is somewhere between 20 million and 40 million illegal aliens. Los Angeles is already solid Hispanic from top to bottom. Oakland is 75% Hispanic. California is already Mexico’s northernmost state. In addition to Mexicans, the unmentioned masses of Middleeastern, asian, russian and european nationals are here. The Texas and other southern border states are severely invaded by mexicans but the problem is magnanomous. You forgot that Texas also had high numbers of illegals coming across the border from india and china and god only knows how many terrorists! I am outraged at the thought of amnesty. Half of us pay taxes and we are supposed to PAY for the illegal invaders? Nullification! Obama gets to pick and choose the laws he will or won’t enforce? WTH? Get these lawbreakers out of here!!!! Illegal aliens broke our laws to enter the U.S.; this makes them criminals. Now, some of our politicians are proposing to reward these criminals with American citizenship and all the rights and privileges purtaining thereto. This makes these “public servants” either self-serving, cynical crooks or some of the greatest, drooling, head-up-the-*** lamers in the history of American politics. Rudimentary common sense should reveal the stupidity of the amnesty proposals. Reward law-breakers and slap the faces of all those foreigners patiently waiting their turns to enter the U.S. legally (the ones we want here) – when did America change from the Land of the Free to the Land of the Fools? Misguided people of good intentions keep telling me that those poor aliens are merely trying to escape from hard poverty and poor government. Well, If we keep letting them sneak in like this, we’re removing any incentive for them to stay home and fix their OWN country. How about that? their culture were productive learned and attempted to learn English. These people earned their citizenship. You are obviously an illegal immigrant or a communist minded liberal. You cant just earn amnesty just by being here. Mary, citizenship is a privilege given to those of us who respected the laws and the country, waited in real lines and came in LEGALLY. All those immigrants of the past, you are talking about, also respected the laws and did the right thing. We are a country of immigrants, but LEGAL IMMIGRANTS, we all either are an immigrant, like myself or have immigrants before in our family chain, but the difference here is, that those illegals demanding rights they do not have now, did not respect the laws and came in any way, do not assimilate into the American culture and drain all our resources, those we do not want in America. They can go back to the country that have responsibility for them and demand there for better living conditions, because they are not the responsibility of American tax payers here. the europeans came in legally and were checked for medical and mental illnesses. They were also checked for criminal records. Those who were deemed a danger to the country were sent back. You also left out that when the europeans came here there were plenty of open spaces left for development and plenty of jobs. They did not sneak in, steal jobs from our citizens, give birth as quickly and as often as they could to collect benefits and did in fact work hard at assimilating into our culture which means unlike southern calif they did not paint their run down houses purple and bright pink, did not throw their garbage in the street and did not have goats and chickens running loose in our streets. Every time I hear this stupid lying ad, I want to reach out and throttle Rubio and Ryan! The nerve of these idiots to peddle such outright lies about what this bill would do. I am disappointed in both of these guys and will not support them again. I agree with you 100% poppy. Rubio and Ryan are a couple of stooges for the left. That commercial is nothing but a pack of lies. How stupid do they think conservatives are? Everytime I hear that ad I turn the sound off and smile knowing that neither Rubio or Rand will have a political future in our country because they have shown their true colors by lying to our citizens and supporting the interests of illegal aliens over the interests of American citizens! People refer to them as the “Gang of 8”. They are actually the Gang of Traitors who are selling us out. Sold out to the corporations, special interests, and illegals. I am a registered Independent voter, who votes in EVERY election. I live in Florida and actually voted for this RINO, Marco Rubio. Never again. He ran as a Tea Party candidate to get our support. Then, as SOON as he got into office, he spent full time campaigning for the 2016 Presidential election. He has the work ethic of Barack Obama! He has to go. Rubio thought that he would get this AMNESTY Bill passed without much trouble from the GOP because he was one. And, he figured that he would get the Hispanics to vote for him like the Blacks did for Obama. So, Rubio thought it was WIN WIN. He NOW realizes that he screwed up, as the Conservatives are onto him. Rubio ONLY cares about RUBIO. He is an Anchor Baby, as his parents are ILLEGAL ALIENS from Cuba. So you are basically making a statement and a fact that immigrants are harder working people, and cheaper….interesting and amazing coming from you finally!!! You are saying Americans are of lower work ethics than IAs……………………. Ryan says they should be able to achieve their “American Dream”. WHY? They are not Americans. Is the whole world entitled to receive the benefits of US citizenship just because they want it? Anyone who vote,s on the GANG of 8 Bill should be REMOVED FROM OFFICE!! ANYONE WHO DON<T FOLLW THE LAW<S IN PLACE ON IMMAGRATION NOW IS A TRAITOR TO THE AMERICIAN PEOPLE- WHY CAN<T YOU LISTEN TO THE AMERICIAN PEOPLE FOR ONCE-YOU WILL DESTROY OUR COUNTRY THIS WAY. Americans come first and illegal aliens are going home. Rubio and Ryan have greatly disappointed independents like myself. Can these politicians connect the dots? One of the major reasons for high unemployment among Americans–especially poor and working-class–is criminal employers giving the jobs to illegal aliens. I thought the border WAS secure. So WHY do we need a PLAN for something that is supposedly ALREADY DONE? And if they won’t get benefits, then what are Diane Feinstein and all the politicians in California COMPLAINING ABOUT? WHY are they saying it will put a HUGE financial burden on their state? NOT that it will stop all of them from supporting this “reform”. And if what we have now is “de facto” amnesty, then what this will give us is REAL amnesty, with no enforcement. And as Mr. Rubio noted in the past, an amnesty will encourage MORE illegally entry, just like we learned in 1986. Mr. Rubio noted that BEFORE he considered running for president, but just like all the rest he threw away what few scruples he had to begin with.